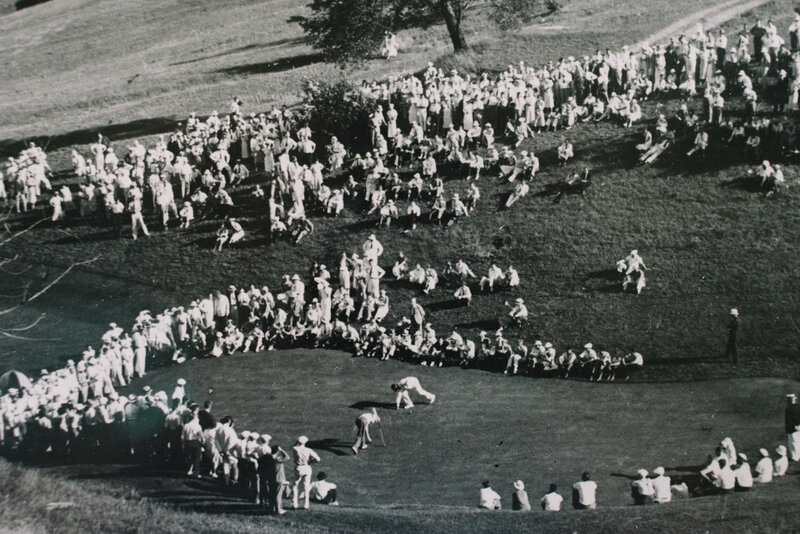 A tournament deep in history, this year the 60th Lookout Point Men's Invitational will be on Saturday, June 8th, 2019. On Saturday, June 8th, 2019 Lookout Point Country Club will be hosting the 60th Men's Invitational for the T.H Brooke Trophy, a tournament with deep history of great competition, and exciting finishes. This year, the tournament will play from just over 6,500 yards, and the short game will be key on this Travis designed course. The tournament has had some great past champions; Jim Briggs has the honour of raising the T.H. Brooke trophy the most, with four victories, the first in 1993, and then three more in 2004, 2005, and 2006. Three others have won the title three times: Nick Weslock in 1964, 1965, and 1983; Mike Krowchuk in 1959, 1962, and 1964; and Warren Sye who's wins span 21 years, 1979, 1994, and 2000. This past year (2018), Garrett Atkinson (Rattlesnake Point Golf Club) captured his second consecutive Lookout Point Men’s Invitational Title. Garrett made 5 birdies en route to a round of 74, capping it off with an excellent 2 putt from a slippery location on the 18th green to clinch the T.H. Brooke Trophy. Power carts not included. Please reserve a cart on your entry form. Reserve early, spots limited. Maximum index for the event is 15.0. Players must have official index to compete for net prizes. Players with an index greater than 18.0 will be adjusted as of June 1st, 2018. Entries without a handicap are welcome to compete for gross prizes. Tee times start at 7:30 off #1 tee. Pairings will be group based on player’s converted course handicaps. All competitors will be playing from the same tees, which will play 6,500 yards. Please complete the registration form below. We will contact you to confirm receipt of your registration and provide you with options for payment. The deadline for registration is Friday, May 25th, 2019. Your registration will only be considered complete when we receive your entry fee payment. When your entry fee has been collected you will be given the opportunity to book a practice round prior to the event date. Participants can bring up to three guests to join them for their practice round. Member green fee rates will be offered. If unknown, please ensure you provide Home Club below so our professional staff can verify your index. This step is optional for players competing for GROSS ONLY awards/prizes. Payment information will be provided to you via email once your registration form has been submitted.. Thank you. We will contact you to confirm registration. DRAFT WILL BE FINALIZED AND SENT BY E-MAIL TO ALL COMPETITORS ON MONDAY, JUNE 3rd, 2019.